The smooth riven surface of Brazilian slate can complement all sorts of spaces and help you achieve a striking and contemporary look. Brazilistone offer slate tiles in a variety of shades, including black, multi-coloured and grey-green. 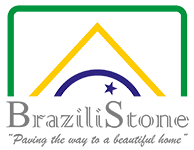 We pride ourselves on the outstanding quality of our products along with our friendly and expert customer service. Our slate floor tiles are ideal for all areas of the home but are particularly popular for spa-like bathrooms and modern kitchens. Sourced and imported with care, we also have slate slabs that are ideal for your garden. With over a decade of experience in the slate tiling industry, Brazilistone take great pride in choosing the most premium products for our customers. 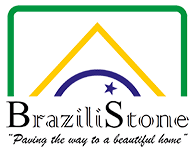 Brazilistone’s indoor slate tiles come in a range of styles and sizes to suit your particular requirements. Our multi-coloured slate tiles are particularly popular for the walls and flooring of spa bathrooms. As you can see from our gallery, they can help create the most gorgeous spaces imaginable. All sorts of effects can be created using the right combination of colours. Since prices start from only £14.68, our slate tiles are also extremely competitively priced and won’t break the bank after the expensive Christmas season. Discover more about our slate floor tiles today.